We are delighted to be back online after a year developing our new website! A couple of teams failed us, so we suffered delays but now have a sparkling new website to help you make your booking in a casa particular in Havana and all over Cuba. Cuba has become more popular than ever as a destination and we want you to have the best experience meeting and staying with local people in a casa particular. Casas are cheaper, more authentic, generally better quality, and allow you to have a more genuine cultural experience. With this in mind, we have totally redesigned our website. It is now even easier to use and allows you to find the casa particular that best suits your needs. With this new website, we also want to bring you the best of Cuba. This is why we have worked hard to select even more high quality casas particulares in Havana and in the rest of Cuba. 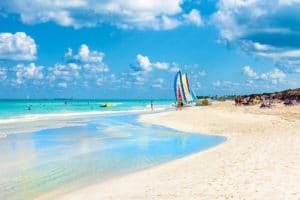 We have also hired new general managers in Cuba and Europe to ensure an even smoother booking process, and to make sure you have a great time while you are there. Feel free to browse our website and book the casa particular that will bring you the best of Cuban culture while making you feel at home. We are looking forward to helping you plan your experience living in a casa particular in Cuba, so that you can enjoy the country and the Cuban hospitality! Enjoy the summer, and if you need more great holidays under the sun, you know you can count on us!